This page is about macrame i.e. knotting. You can find many pictures of my macrame jewellery pieces, how I make them and more. While I was making and selling my knotted jewels, many of you asked for step-by-step instructions to make them by yourselves too. So I decided to build this page. I am planning to make photo tutorials and several video instructions about this wonderful, creative, old technique from my point of view. 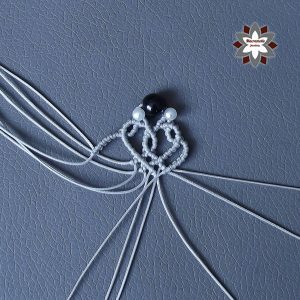 The tutorials are mainly for beginners to understand the basics and the progress, the nature of knotting, the way I see it. I hope you will enjoy surfing my site and find the instructions clear and useful and soon you can make your own knotted pieces and find your style.